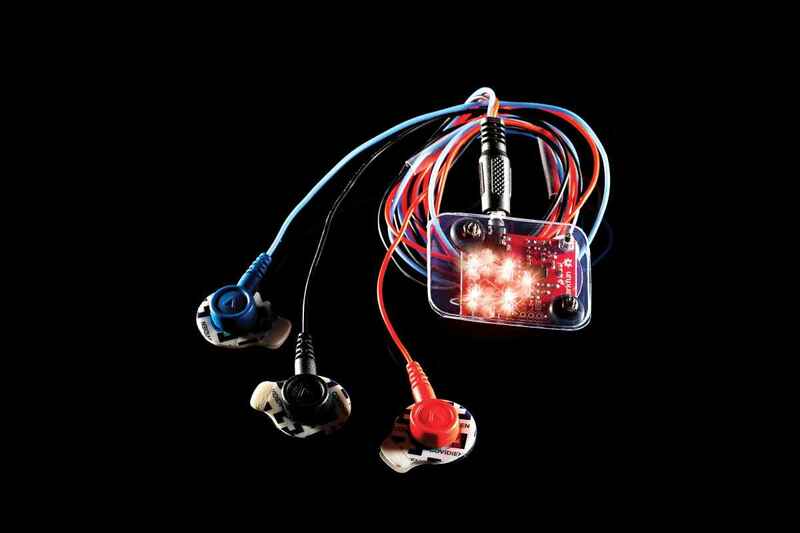 This is a pretty neat project that was bouncing around the SparkFun company email the other day. Dave Prochnow, who writes for "Popular Science," did a cool short tutorial explaining how he used SparkFun's Single Lead Heart Rate Monitor to create a LED interface that lights in tune with the wearer's heartbeat. Hey! I made one of these myself! Mine was a lot simpler, using the Jimmie P Rodgers Open Heart kit and the Sparkfun "Pulse Sensor" ( part SEN-11574). I hacked the code the Arduino runs together from the demo stuff that came with the two pieces of hardware. Works like a champ on a 9-V battery with a pouch my lovely wife sewed together to hold it. It might not be exactly as accurate, but you didn't need to stick anything on your body.